I received an ARC of this book from TBC in exchange for an honest review. Thank you to both the author, Robin Roughley, and TBC for the opportunity to read this book. I have not read previous books in the DS Lasser series, so to me, the first and most important observation was that this book can be read as a stand alone. There are references throughout to previous history and relationships between the characters, but this does in no way impact the understanding of how the plot develops and how the characters relate to each other. In this book, DS Lasser and the team are called in to uncover what appears to be, at first glance, a suicide. However, it soon becomes evident that more sinister things are going on and the story picks up from there. Pretty much from the first chapter, the body count goes up and up and up... there are so many bodies and people who are attached, it feels like a set of russian dolls being taken apart. While this makes for a fast paced plot, it also gives some sense of confusion and it was at times hard to remember who is who and why and how they were connected to the other characters. The story line is jam packed with bad guys, i really did not encounter one single person i could say i liked. The police team seems to be somewhat dysfunctional and chaotic, which leads to quite a few blunders.. corruption at the highest level is rife. The main character does not seem to have many "likeable qualities" about him. One thing that really did take away from my enjoyment of the book was the persistent use of profanity, it was not used to portray one character's personality, but peppered throughout. With foul language being used by everybody, from the detective to the most corrupt politician to the main "villain". For me, this took away from the story, rather than add anything meaningful. If you don't mind strong language but like a fast paced, dark and violent read, then this is definitely going to be a good read. 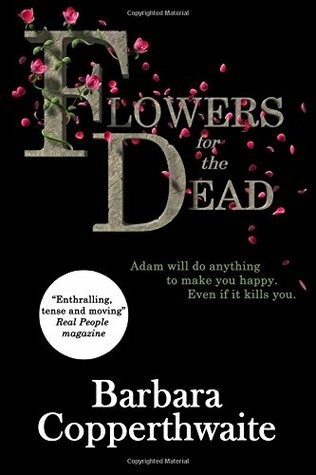 Utterly twisted, satisfyingly shocking and brilliantly clever... those are first descriptions that came to my mind when I had finished Flowers For The Dead. To come across something unique in a genre that is so massively popular is always a special treat. In this book, Barbara Copperthwaite achieves this feat, she creates a new dimension to a classic theme. We all have read the books with the notorious serial killer, are filled with glee when our favourite DCI or even PI nails them and they are locked up for good. In Flowers For The Dead, be prepared to not feel this kind of triumph. Adam is a guy with a big heart, when he loves, he gives his chosen his all. He showers her in gifts, looks after and makes her feel cherished, in summary, the perfect guy. His chosen, however, does not usually reciprocate in kind, which leaves Adam no choice but to kill her with kindness, literally. The book follows Adam on his latest love conquest, we meet Laura and get to know in chilling detail, how thorough Adam's attraction is and to what lengths he is prepared to go for his love. I felt outraged, mystified, shocked and felt a sympathy while getting to know Adam, the most likeable serial killer you will ever meet. Be prepared for the unexpected with this book. It is definitely a 5* read, it delivers on all aspects. Sophie's Throughway follows the main character, Sophie, from the day she receive's her son's ASD/PDA diagnosis through the ups and downs that follow such an event. An easy read, with plenty of humour and wit makes this book an enjoyable read. 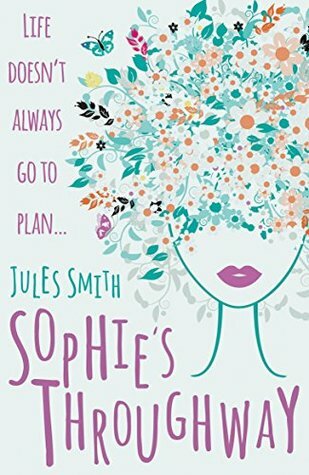 It will particularly appeal to those of us with young adults on the spectrum, as we can readily relate to some of the situations and decisions Sophie faces in her life. The book seemed somewhat "unfinished" to me. A lot of sidelines opened and were followed for a bit, leaving quite a few scenarios unfinished and almost forgotten. Part chicklit, part romance... I am not entirely sure which genre this book is supposed to fit into. The author created likeable characters, started off on interesting plot lines, but then they all seem to lead to dead or open ends. As this is quite a short book, it is hard to give specific examples without disclosing spoilers. When I came to the end of the book, I literally checked if there were more pages or I had a faulty download as it is so abrupt. Apart from those points though, this is an enjoyable, funny and witty quick read. Thank you to netgalley, the author and Troubador Publishing Ltd for an ARC in exchange for an honest review. I would like to thank Netgalley, Random House UK, Cornerstone and the author for the opportunity to read and review The Missing Hours by Emma Kavanagh. Selena Cole, a young mother of two and recently widowed woman, vanishes and a successful young lawyer is murdered. Leah and Finn, a brother and sister police duo, are called in to solve these two, seemingly unconnected, cases. This was a fascinating read, packed with very well developed characters, detailed locations and gripping insight into the secretive world of Kidnapping for Ransom; the reader is taken on a journey unlike any other. The story is told from different perspectives, in different voices. "Case files" give a glimpse into a world that I previously did not even know existed. The story weaves together, unexpected connections and disconnections keep the reader guessing right through to the end. 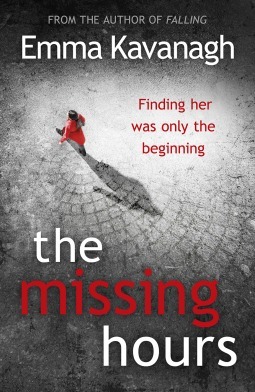 In The Missing Hours, Emma Kavanagh has created a crime thriller unlike any others I have read. The K&R background, coupled with the more familiar underworld of drugs and murder, give this book an edge over other new releases. It is rare to find a book that deals with something entirely new, but this book does just that. A solid 5* read for The Missing Hours. I was kindly given an ARC by the author and TBC in exchange for my feelings on reading this as a "standalone" book... i had not read the first two books in this series. I have to admit that I feel it is impossible to read this book on its own, once you have followed Greg Woods and his friends (and foes) on this most intricately woven adventure, you will not be able to NOT want to read the first two books! I loved how the story takes us from Northern England, via London to exotic locations. The action is fast paced and plots weave together to make for a fascinating read. You will be drawn to the characters, who come to life and pull you into the story, and become invested in their fates. The author finishes the series as it started: with a BOOM that will stay with you for quite some time. Angie Smith created a story of action packed espionage, romance, intrigue and plotting. 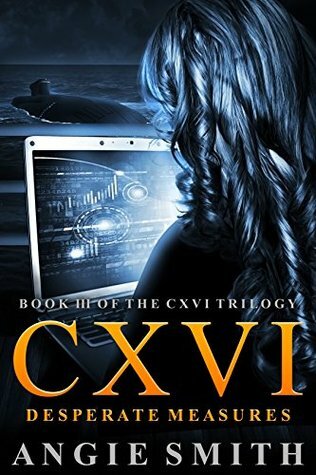 You WILL want to pick up the first two books written in the series. As a standalone you easily pick up who is who and it is an enjoyable read, there is obviously history between the characters that is a bit "mysterious" and it is a bit unclear in the early stages of the book how some of them relate to each other. However, the further you progress into the plot, the more you uncover about the characters and how they came to be involved. If you are looking for a complex international espionage thriller, I can highly recommend you pick up a copy of this book. The reader is taken to the year 2055, where half the world's population is living in an alternative reality, Dormance. Emery and her friends are experiencing life in Dormance and it is not until Emery leaves for boarding school that Torin, a young hacker on the outside, makes contact with her and both work together to wake up the world. The concept and idea for the basis of the book are brilliant and novel. However, the author fails to build the characters and the world they live in. The reader is pretty much taken straight to the action and into the (often very intense and strange) friendships and relationships. You are not entirely sure which side is playing which and I am honestly still not 100% certain why or how "dormance" came about. The story touches on several obviously important things and then fails to explain this importance and relevance. I am hoping that the sequel will reveal more, not only about the characters themselves but also about the world they live in and how these items are connected. There is definitely huge potential here to build on this and to expand and get readers drawn in, but more details are needed. Thank you to netgalley and the author for providing an ARC in exchange for honest feedback. Robert Bryndza ensures that DCI Erika Foster makes an entrance with style. A solid 4 1/2* read for me. After suffering personal trauma, DCI Foster is called in to take charge of a London murder investigation. The daughter of an influential Labour peer and Lord of the house is found brutally murdered, in a remote location. DCI Foster has to overcome many obstacles and get a new team on board to solve this case. The story easily flows, the pace at which events unfold keeps the reader engaged and interested. What appears to be, is not always what it is and the reader is lead along the many twists and turns of this intricate plot. How are the deaths of 3 young prostitutes, 1 "local character" and 1 young upper class woman connected? I am looking forward to see what case DCI Foster will solve next. The only thing that slightly dampened my enjoyment of this book was the unnecessary use of a profanity several times. I am not referring to the "garden variety" swear word, but the heinous, vulgar one. While, in one instance, I could see it as a way to portray a character and the mannerisms, the other two uses were (in my opinion) unwarranted and took from the overall impression of the book rather than add. 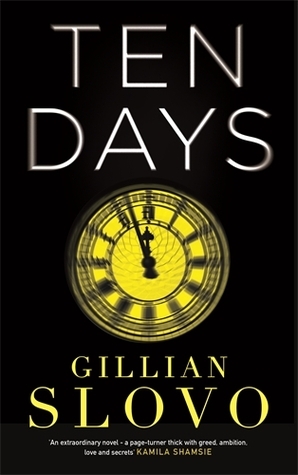 In "Ten Days", Gillian Slovo takes the reader on a time-line to chaos. How does one death plunge a nation into violence and disobedience? 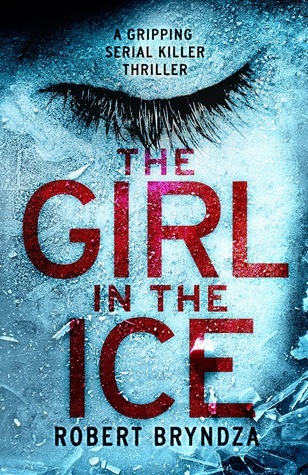 A London in the not so distant future is the background for this chilling read. From the drudge of a local council estate to the fancy lifestyle of the British Politicians, the reader is taken along on an insightful journey of how a quest for answers from those at the top can lead to civil unrest. Anybody who witnessed the 2011 riots on Britain's streets, will recognize the scenes described, in brilliant detail, by the author. The fascinating thing about this book is that the author seems to answer the most burning questions anybody had at the time: How could this happen? Why did this happen? At times it was difficult to remember that this was a piece of fiction as Gillian Slovo does such a good job of transporting us back to the news headlines, the constant media loops we were all glued to, the vivid descriptions of the scenes the main characters were facing. We follow the unfolding of the events from several different aspects, a resident on the council estate of where it all starts, a police officer and the new commissioner of the MET, the home secretary and the prime minister. The author manages to address a number of society's problems and ties these firmly into the foundations of the book's objective. A beautiful book and perfect holiday read. If you are lucky enough to be reading this at the pool in a sun drenched country, you will literally feel as though you stepped into the story. If you are reading this, like me, in the wet winter months of the UK, you will feel as though Corinna Edwards-Colledge has taken you on holiday. 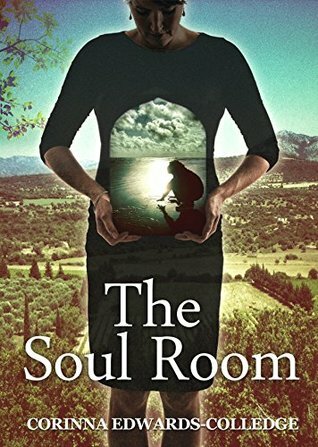 Detailed and very vivid descriptions of the beautiful Italian country side, coupled with a story line that sweeps you along at points and lets you gently float along at others make this a thoroughly enjoyable read. Maddie has taken a summer job in Italy to work on a vineyard she has not visited since she was a small child. She has all but resigned herself to a life on her own when a young man enters her idyllic safe haven. Life has so much more in store for Maddie than she ever dreamed of. A story full of loss, love, hope, life and the entirely unexpected. Thank you to the author and TBC for the opportunity to read and review this book. This book contains a wealth of patterns, neatly organised into categories such as Hats &Caps, Socks & Booties, toys, clothes, useful items and blankets. All patterns can be worked from one skein of wool, though attention should be given to the size. The patterns are well written, easy to understand and follow and many also incorporate a diagram, however the individual patterns give no indication to the difficulty level of each item made. The patterns provide a wide range of presents or useful things for new mums, aunts, grandmothers or friends to crochet. Most patterns give varying size guides, and for those where no other sizes are explained, this could be worked out from the pattern. The basic stitches and a very useful key to read diagrams are included in the back of the book for beginners or those who need a little reminder of how stitches are worked. Beautiful photos, clear descriptions and instructions make this a valuable resource for anyone who wants to create items for babies and toddlers.